This girl loves donuts. So much so, we had a donut truck at our wedding. Best. Idea. Ever. You know else is a great idea? A donut festival. An even better idea? Bringing it to Cleveland! 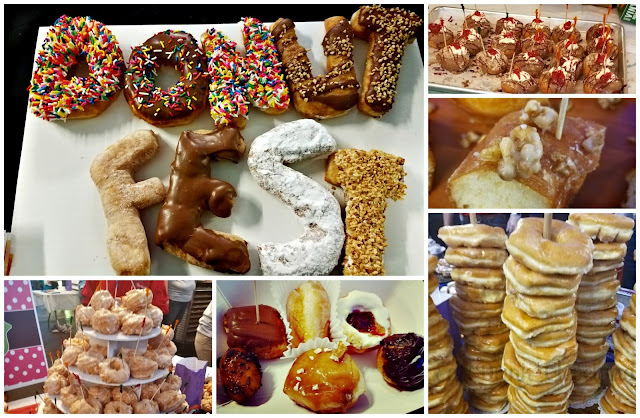 Donut Fest was started in Chicago by a former NE Ohioan and has only also been held in NYC up until now. This year they debuted in our very own CLE. When I heard about it, I knew immediately it was a Must Do. And a lot of other people felt the same way because it sold out in 3 1/2 hours. Faster than both other cities. Yep, CTown loves its donuts. And we have a lot to choose from. Twelve great bakeries were represented at the inaugeral festival and we still have many others that weren't. (maybe next year!) 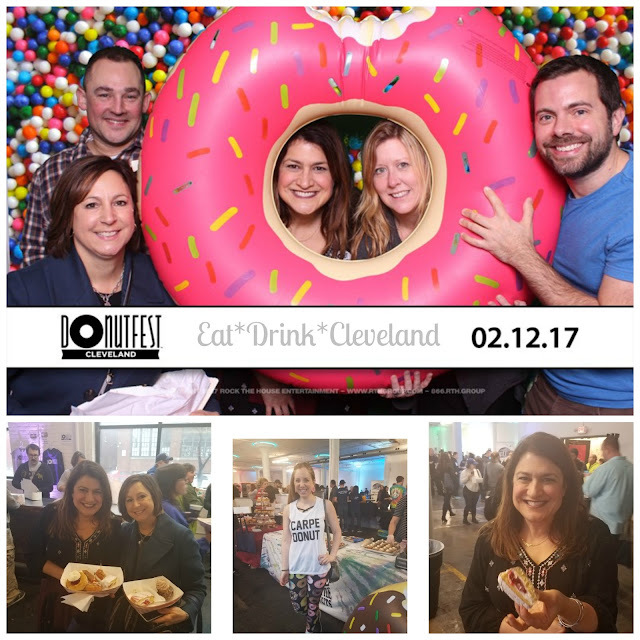 Donut lovers united at Red Space to experience one of the sweetest food buzzes around. 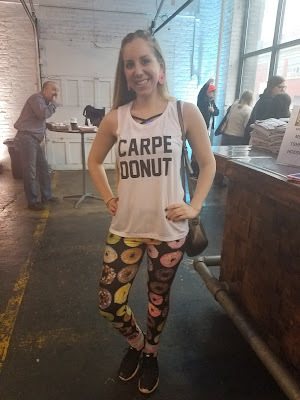 There was donut themed art and lots of people wearing clothing to match. 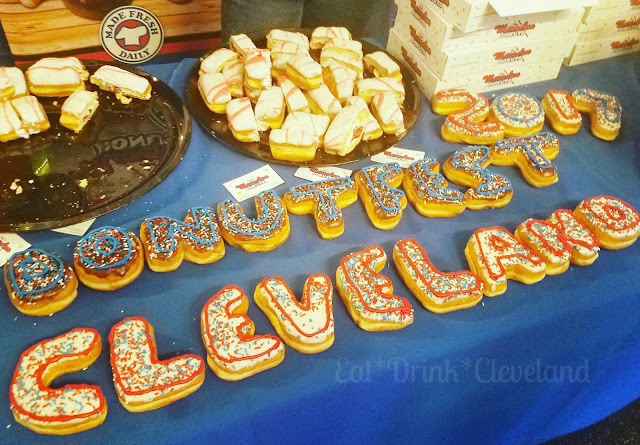 People in CLE are serious about their donuts. The true test of a donut is the traditional glazed yeast version in my opinion. It's always my favorite but I love interesting flavors too. It was nearly impossible to pick a winner. Thankfully I wasn't a judge but here are my top picks. Jack Frost may be known for their over the top filled donuts but the glazed are amazing. If you haven't tried them, what are you waiting for?? These guys have been showing off their donut skills for years and it shows. Texture, chew and sweetness are perfect. 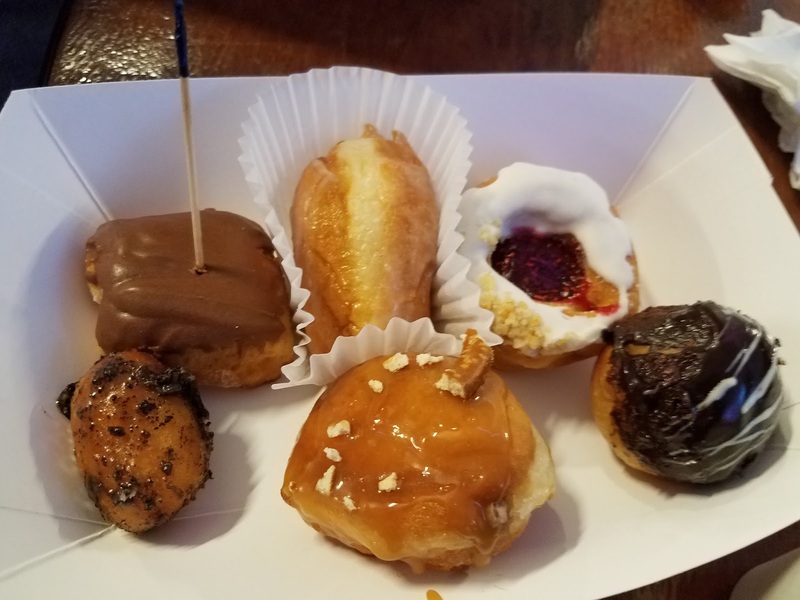 They offered a huge variety of donuts so everyone could choose their favorite and got bonus points for handing out full-sized instead of the typical 1/4 donuts samples. 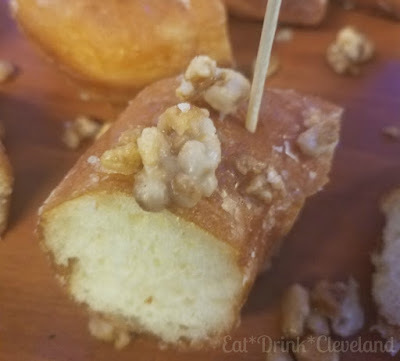 The canoli donut even had a teeny tiny cannoli on top. George's has guts and it shows. They ONLY entered a glazed donut. Boom! Get to Twinsburg early if you want to try these because they always sell out early. Pro tip: place an order the day before. 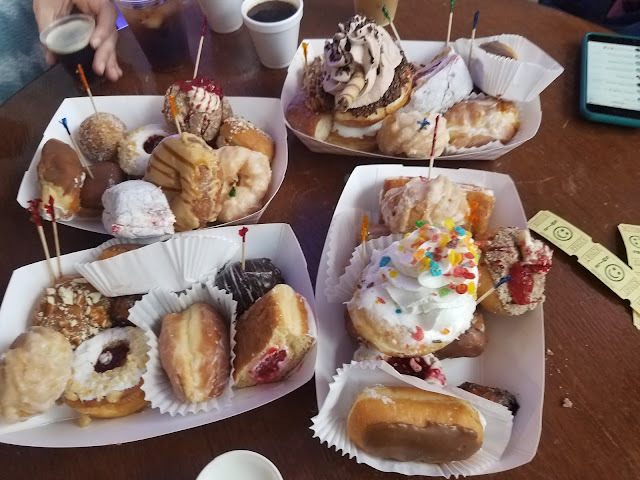 MaryAnn Donuts Cafe in Canton and Holey Toledough of Toledo may not be in Cleveland but they would both make for a fun Sunday drive. 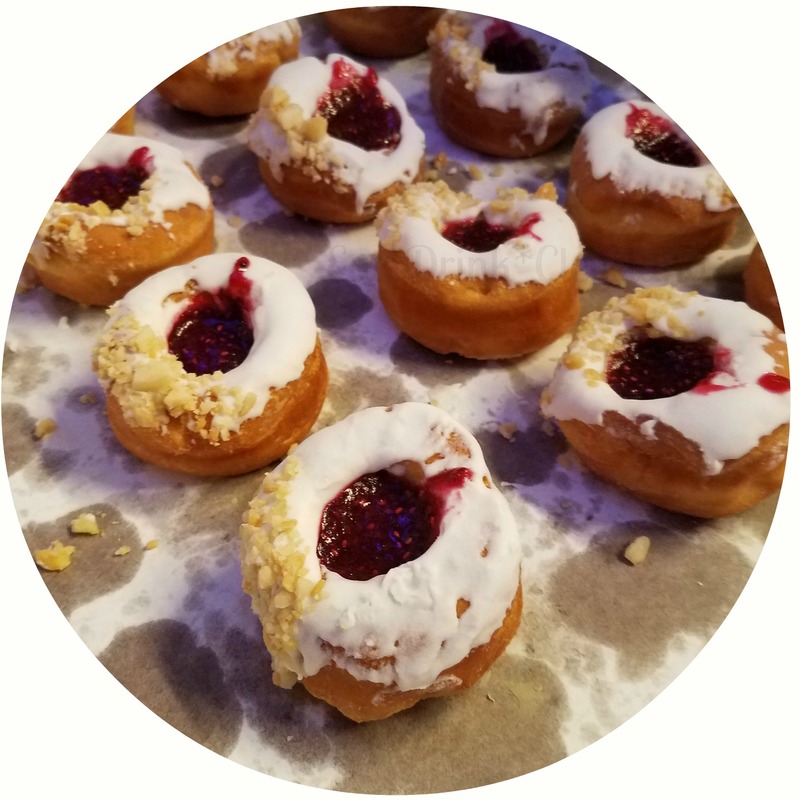 MaryAnn's entry was filled with Strawberries and Cream, but the powdered donut itself was magical on its own. I will be paying them a visit. Plus they spelled out "Donut Fest Cleveland" in donuts for major style points. Holey Toledough also featured a fruity filling. Their "Best Donut Ever" cake donut with raspberry jam, white chocolate ganache and crushed macadamia nuts was decant and delicious. I also liked the small size. A special shout out for the chocolate ganache on Bloom Bakery's donut hole. Dark and rich it was the real deal. 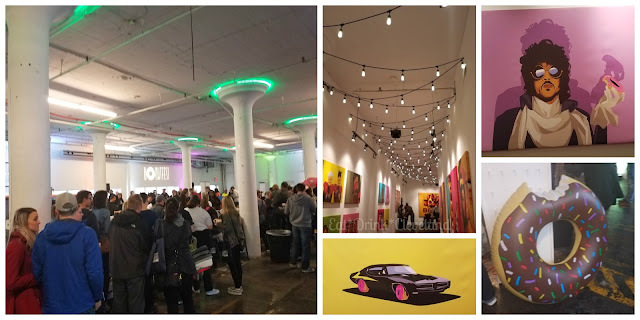 It was a great place to see and make friends at the event! Who doesn't love a photo booth with a giant donut prop?! Thankfully they had lots of coffee from City Roast, Rising Star, Erie Island, Solstice, Heartwood and Joe Maxx plus milk from Hartzler's to wash all the sugary treats down with. A truly unique and surprising delicious beverage was Donut Infused Nitro Cold Brew from 46 and 2 Brewing. The only thing missing was water. We desparately needed water. As we were leaving we found a lonely pitcher and some plastic cups by the exit. I thankfully chugged a glass and headed home in a sugar induced daze. Good news! If you missed out on the fun they WILL be back next year. Follow them on Facebook, Instagram and Twitter or sign up for their mailing list here. Awesome, I will definitely attend next years. Great pics by the way. 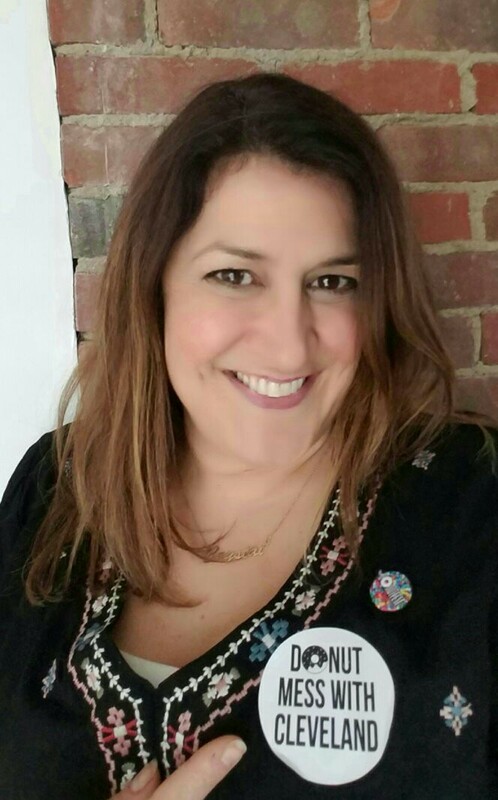 Love to see all the coffee vendors supporting this, I'm a big fan of Solstice so I was excited to see them mentioned! This is so cool!!! I'm always out in the suburbs for some appointment, and living downtown, I never know the go-to hot donut spots. So now I know where to hit up for donuts!! Thanks!! !